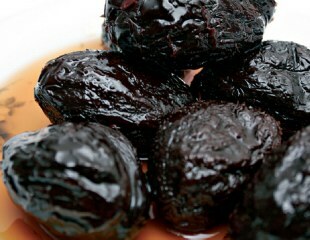 Crush coarsely the walnuts or almonds or even a combination of the two and put them in a bowl. Add the sugar, the egg and cinnamon. Knead all ingredients so that they become a mass. Butter your hands with the melted butter (be careful not to be too hot) and with buttered hands gently hackle the kataifi pastry to separate the strands. 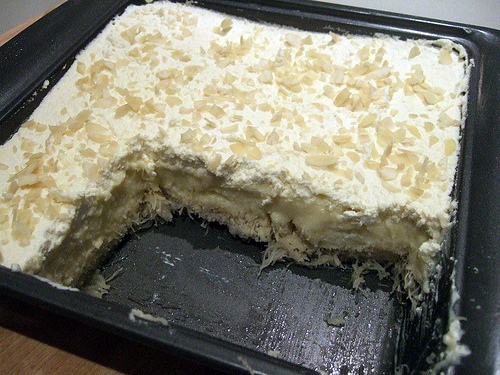 Take some quantity of kataifi pastry, as much as it needs for one kataifi and open it up (always with buttered hands). Place at the end some of the walnut or almond mixture and roll in a cylindrical form tight enough and being careful to also roll in the ends, so that it does not unfolded. Repeat the above procedure, taking some kataifi filo pastry; open it up again, place some filling mixture and roll it into a cylinder. 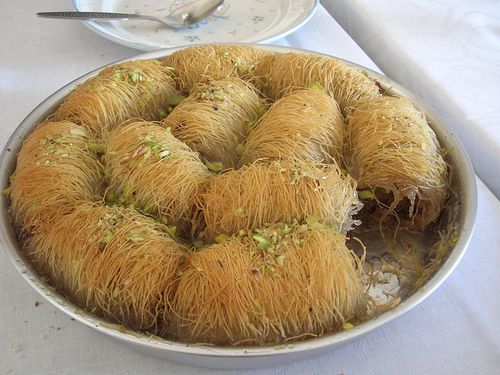 Place all the finished kataifi rolls in a line the one next to the other in a buttered baking pan. With a spoon pour over them the remaining melted butter. Bake in a preheated oven for about half hour roughly, perhaps and little more, at 180 degrees Celsius (see conversions), being careful they do not burn. If we see that “they start browning too much” cover the baking pan with aluminum foil. Prepare the syrup by boiling all the syrup ingredients for a few minutes. 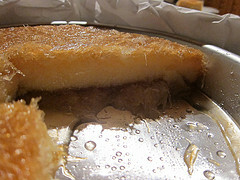 Pour over the hot kataifi when it comes out of the oven with the hot syrup. If you want it to be crispy, leave it aside uncovered to cool down. It is better to cover the baking pan with foil in order that with the steam that will be created it will soften the syrup and it is irrigated better. Doing it the second way (the way I do it), it becomes soft and more juicy. 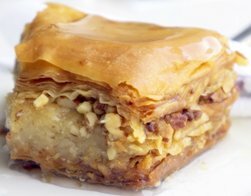 If you make a thick custard for Galaktoboyreko you can fill with this the kataifi pastry instead of the walnut-almond mixture. The rest of the procedure remains the same.